We owe the appearance of the first skin-moisturising cream to the Turkish doctor Claudius Galen (129-199 D.C.), who discovered that a refreshing cream could be obtained by mixing olive oil with water and vegetable wax. Observing that when this cream was applied on the skin, it lent the skin greater elasticity, he saw the possibilities of this application. 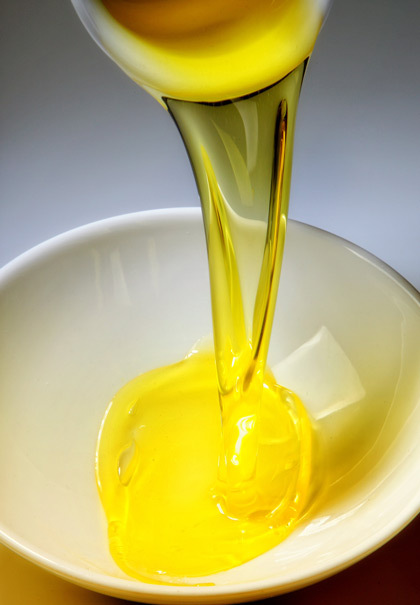 Another of the applications of olive oil that has been known since ancient times for keeping the skin elastic and terse involves adding 1/2 Dl. of milk mixed with the same amount of olive oil to one’s bath water. If we strictly followed this treatment, we would no doubt find our skin increasingly soft. By taking raw olive oil as seasoning, we also encourage our skin to lighten, become softer and acquire an attractive natural radiance. There is another handy trick specifically for hand care: If you wish to moisturise the skin on your hands really well, prepare a paste with olive oil, Vaseline (which helps to give body to the mixture) and a little menthol; before going to bed, rub this mixture well into your hands and cover them with cotton cloths in order to keep the paste in place throughout the night. Next morning, you will notice that the skin on your hands is considerably less dry. Olive oil can also be the solution to split ends. Mix an egg, one spoonful of vinegar and 2 of olive oil; heat the mixture (without allowing it to boil) and then apply it on split ends and rinse it off half an hour later. One way of lending shine and life to your hair (as well as moisturising it) is to wash it with a mixture of 5 spoonfuls of olive oil and 2 eggs. Rub the mixture in well, rinse it well and then wash it again with your usual shampoo until all the oiliness disappears from your hair. Another hint for lending strength and moisture to our hair involves applying a good amount of olive oil on your scalp and massaging it for quite a while so as to let it penetrate deeply. Then wash your hair and sprinkle some beer on it; don’t rinse it until 24 hours have elapsed, to enable the beer to take effect slowly. For thousands of years olive oil has been used to rub into any part of the body before applying a massage because of the fact that it helps the muscles and nerves to relax. Olive oil also strengthens the nails and softens the cuticles. Before going to bed, dip your nails in a mixture of warm olive oil and lemon juice. Use soft cloth gloves and allow the oil to penetrate during the night.